In an emergency involving sudden cardiac arrest, its the training of the rescuer that makes all the difference. Quick CPR response times and immediate contact of emergency medical services will make the biggest difference for the victim in terms of survival, so it is of the highest importance to make sure your staff and workplace has received excellent training and preparation for applying CPR in just such an event. However, one part of a comprehensive CPR response program that can make a significant difference in survival rates is an AED, or Automated External Defibrillator. An AED can diagnose the irregular heartbeat of cardiac arrest and safely apply an electric shock that will allow the heart to reestablish an effective rhythm. Used in conjunction with effective CPR, an AED can greatly increase the chances of survival. AEDs are simple, safe, and easy to use. Anyone can use an AED, even with no training, but high-quality CPR and AED training will give your employees the confidence and capability to help quickly and correctly. Even when an AED is used to shock a victim, CPR is still required. Studies have shown that over 50% of the time, it takes more than a minute after the shock to reestablish a normal heart rhythm. Without effective CPR, the odds for survival are not good. The on-site CPR and AED workplace training programs available through CPR Seattle will ensure that your staff is well-trained, well-equipped, and well-prepared for an emergency. CPR Seattle will assist your company during all phases of AED deployment, including AED purchase, staff CPR training, completing and submitting all required state and/or county AED documentation, and determining the optimal location for your AED. CPR Seattle will also register your AED for regular updates and equipment checks in order to keep your AED unit ready and functional at all times. We will also track the certification status of your staff and remind you when its time for a recertification class, in order to keep the CPR skills of your workplace as current and effective as possible. 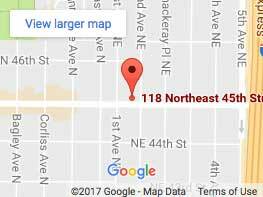 CPR Seattle has partnered with HeartSine® Technologies to provide one of the most reliable and easy to use AEDs to our clients. 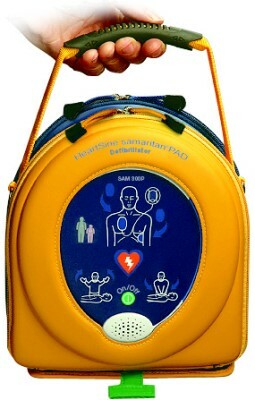 It is the only AED unit we sell, and we feel it best serves the safety requirements of the workplace. Rugged, simple, and with an unmatched 10-year warranty, the HeartSine® samaritan PAD 300P provides complete step-by-step instruction, ensuring that even a newly-trained user can use it effectively.